HOUSEBOAT VACATIONS IN VOYAGEURS NATIONAL PARK! 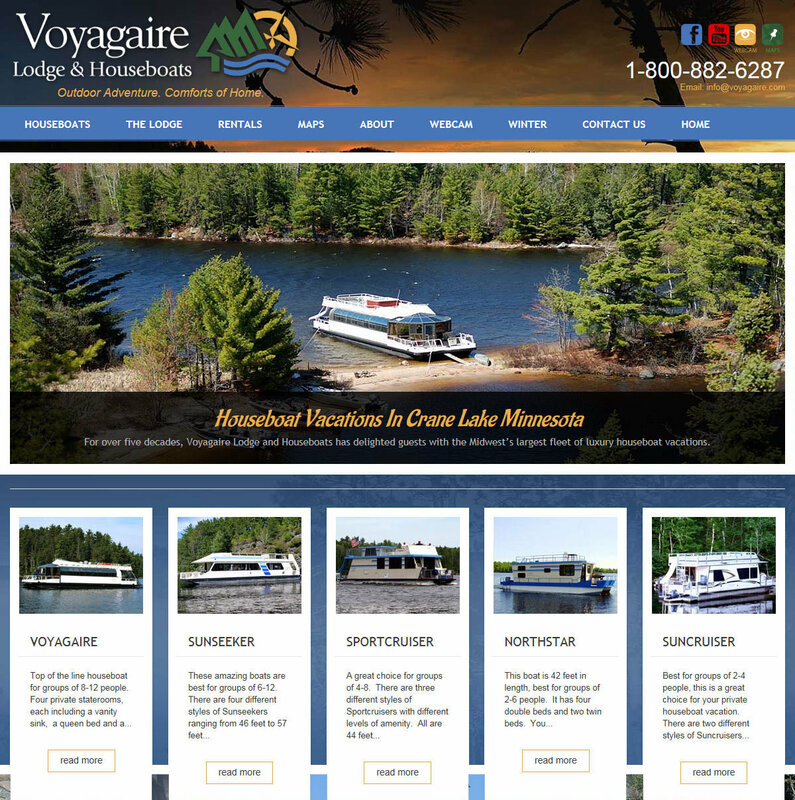 Let us help you plan your next vacation at Minnesota's premeire houseboat rental resort! Try a houseboat vacation in Voyageurs National Park. Voyagaire has the largest houseboat operation in the Midwest, and for 55 years, our floating homes have been accommodating small and large groups of explorers, families and fishing parties. Imagine sunbathing on the upper deck, rejuvenating in the hot tub under the stars, or retreating to the cabin for the evening while listening to the waves lap on the nearby shore. A Voyagaire Houseboat vacation is one you will never forget and one you'll want to do again and again. 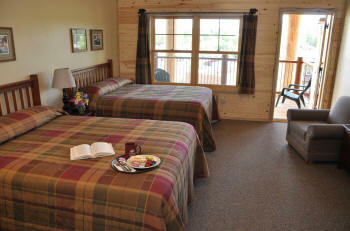 Voyagaire takes pride in offering their guests the absolute best in northwoods hospitality. First class accommodations await you at the brand new Lodge built at Voyagaire in 2013. You will love the mixture of modern northwoods conveinence and rustic charm in each of our deluxe hotel rooms and throughout the beautiful brand new bar and restaurant. From the front doors of Voyagaire Lodge there are hundreds of snowmobile destinations to explore.